Dr. Landon is a well rounded fully knowledgeable plastic surgeon. I had breast cancer which in itself is hard enough to deal with. Dr. Landon explains every step in detail. He is compassionate and patient. He wipes your tears and eases your fears. Beyond happy with the outcome of this procedure, not enough words to express my gratitude! I knew right away that Dr. Landon was one of the most caring, knowledgeable, doctors out there and I felt that he truly had my best interest in mind. I could not have envisioned the final result any better…it was as if I had a new set of perfectly natural lips, both product and skill made this experience superior in every way. I am a patient for life with Dr Landon!! Gifted Surgeon, the only one I would trust. Amazing scar revision on my face. Will make you feel like you are his only patient. He [Dr. Landon] is obviously skilled, generous with his time, and passionate about his patients. I would absolutely recommend Dr. Landon to friends and family, and I already have! I’d recommend Dr. Landon to anyone looking for a Plastic Surgeon. He’s attentive, knowledgeable, experienced, comforting and caring. When my son fell and suffered a laceration to his forehead Dr Landon was beyond helpful. He was extremely patient and thorough, even with a squirming toddler. He took the time to explain our options and why he recommended the treatment plan. Now several months later our son has virtually no scarring and we so thankful for Dr Landon’s skill and kindness. Dr. Jonathan Landon is an attentive, knowledgeable, thorough, caring, articulate, human, and compassionate plastic surgeon. Dr. Landon and his staff made an awkward situation as comfortable as it could be. Dr. Landon is a calm, friendly, patient doctor. He took the time to explain what he was going to do and exactly how he was going to do it and what my recovery would be like. At South Shore Plastic & Reconstructive Surgery, we believe it is essential for a patient to be as knowledgeable as possible, not only about the treatment they will undergo, but about their surgeon and the options that are available to them. It is critical to our Chief of Plastic & Reconstructive Surgery, Dr. Jonathan Landon, MD, and the entire SSP&RS team, that we immediately establish unquestionable trust in the relationship we forge with each and every patient who walks through our doors. “Nothing is more sacred than the relationship between doctor and patient” says Dr. Landon. “That relationship is based solely on trust; Without trust, the relationship seldom succeeds”. It is imperative that our patients feel comfortable and well-informed with all available options enabling them to make the best possible decision for their individual care. Patient reviews and testimonials are a critically important tool for patients to help in making the best possible decision as to who their health care provider should be. 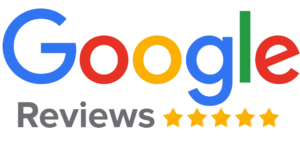 For that reason, South Shore Plastic & Reconstructive Surgery participates in patient reviews at RealSelf, HealthGrades, and Google Business Reviews. Please visit all 3 sites where you can read reviews and testimonials, as well as see before and after photos of actual patients treated by Dr. Jonathan Landon, MD, at SSP&RS. We are very proud of our reviews and hope they help you in making an informed decision as to who your Plastic & Reconstructive Surgeon should be! Looking for Before & After Photos? There are before & after photos right here on our website on our Gallery page. You can also find photos on our RealSelf profile as well as on the SSP&RS Instagram and Facebook, where you can also follow us to keep up with any news from the practice!